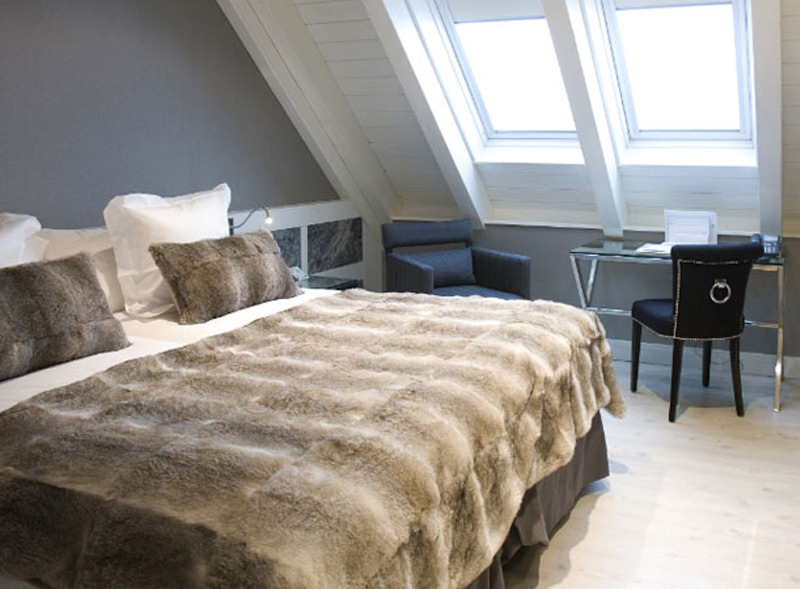 Neu Classic is the perfect combination between comfort and functionality. 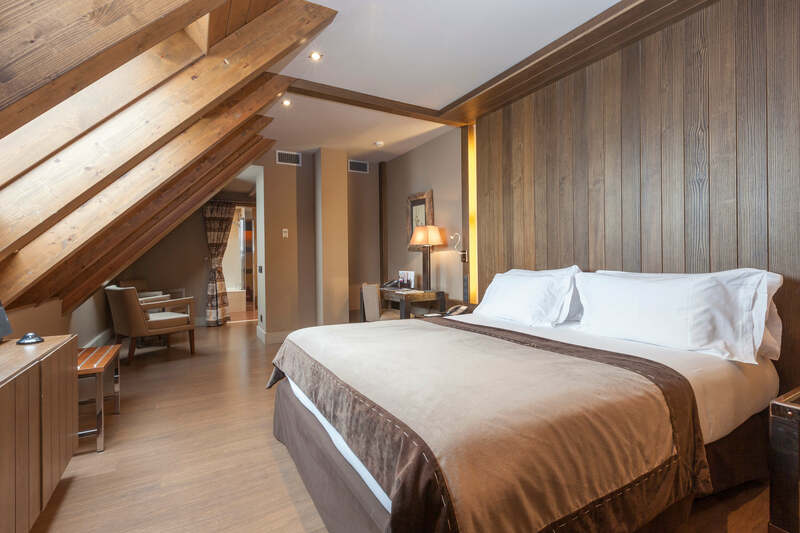 With exquisite modern decoration, parquet floor and wooden furniture, it is equipped with comfortable beds and a pillow menu so you can enjoy a personalised rest. 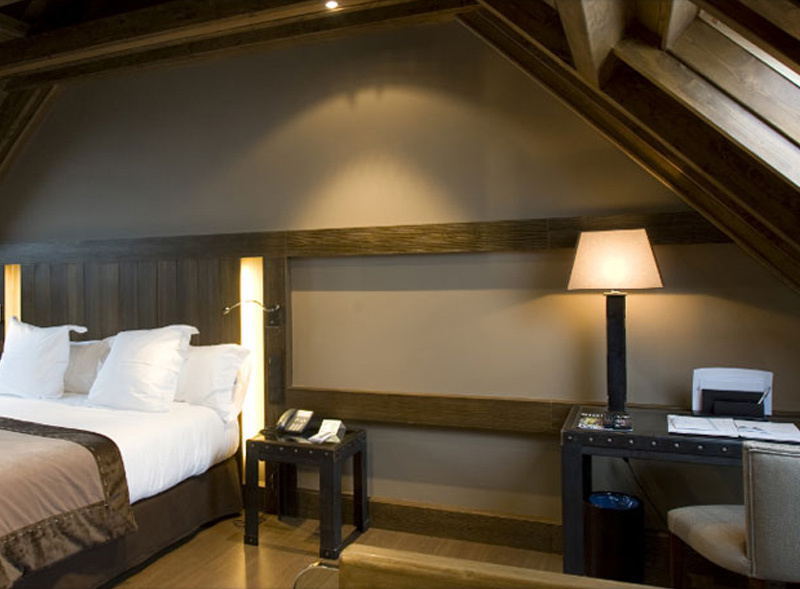 Includes: welcome gift and free snack (hot chocolate and churros). 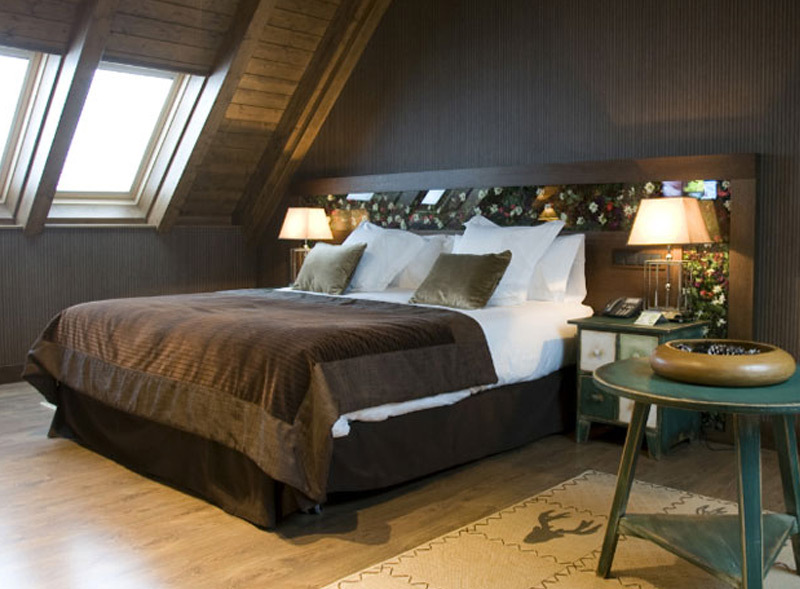 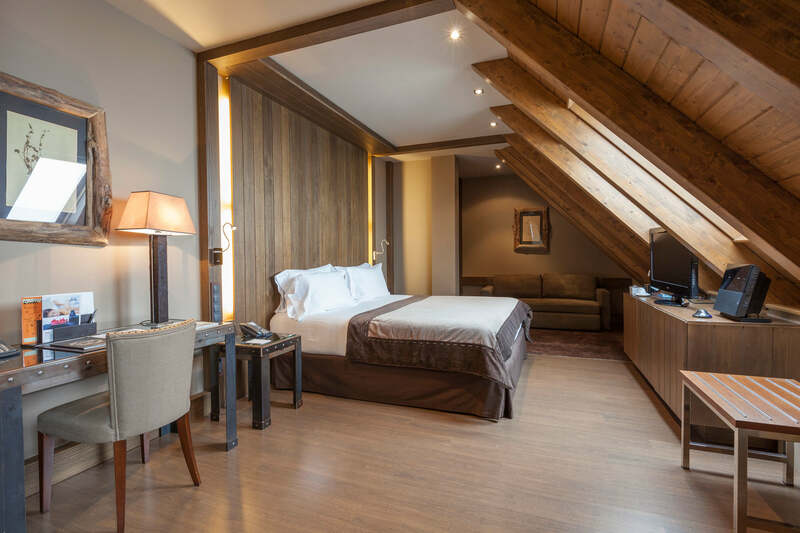 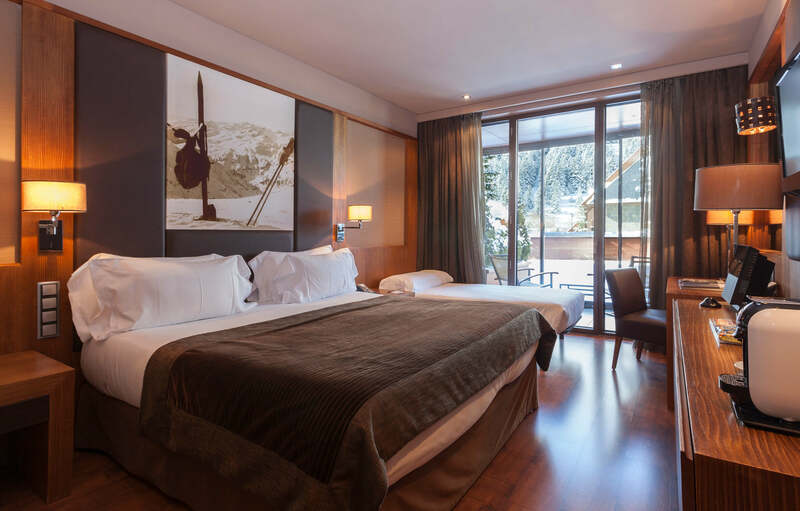 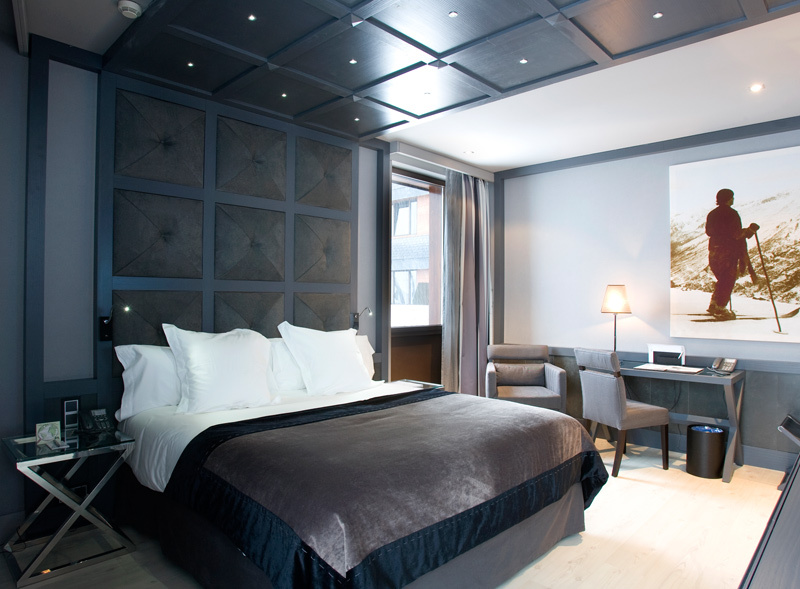 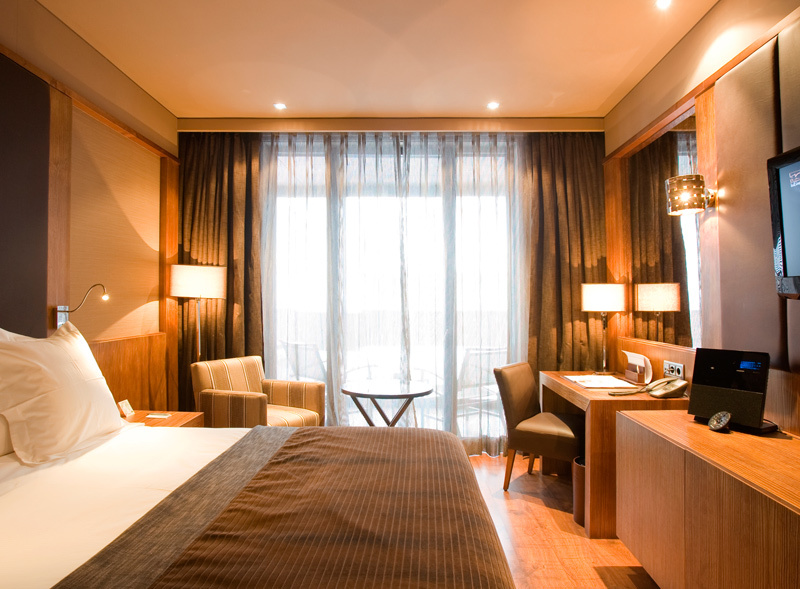 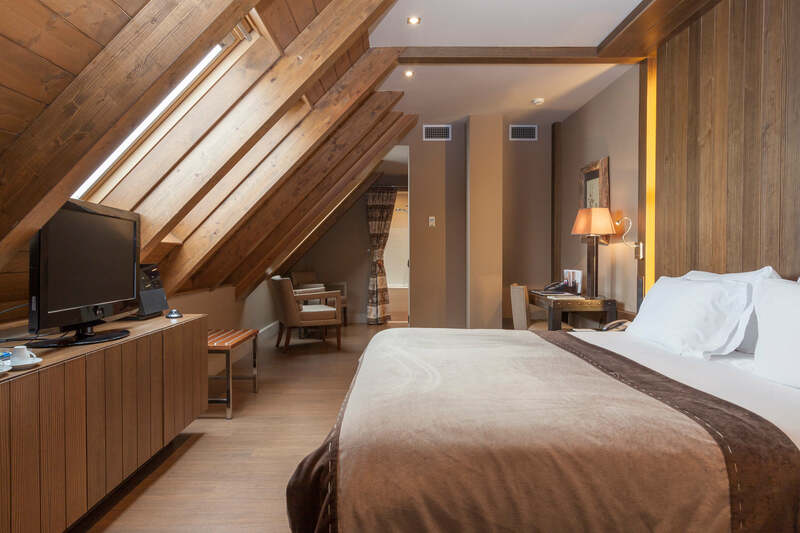 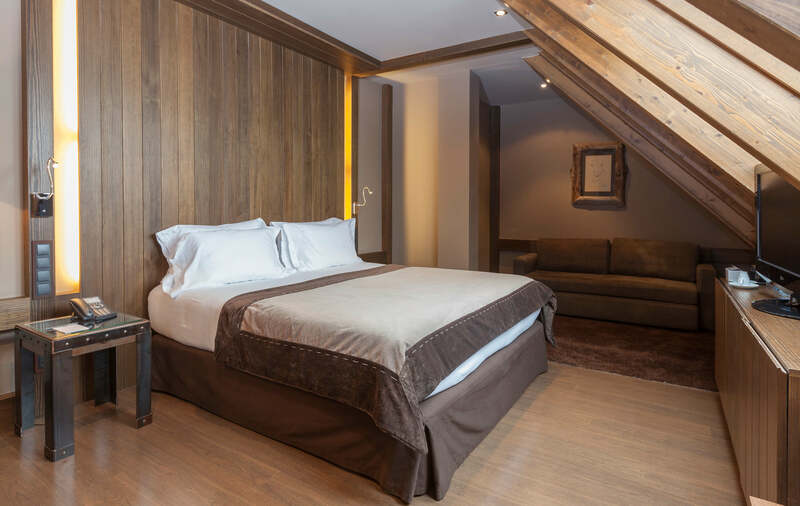 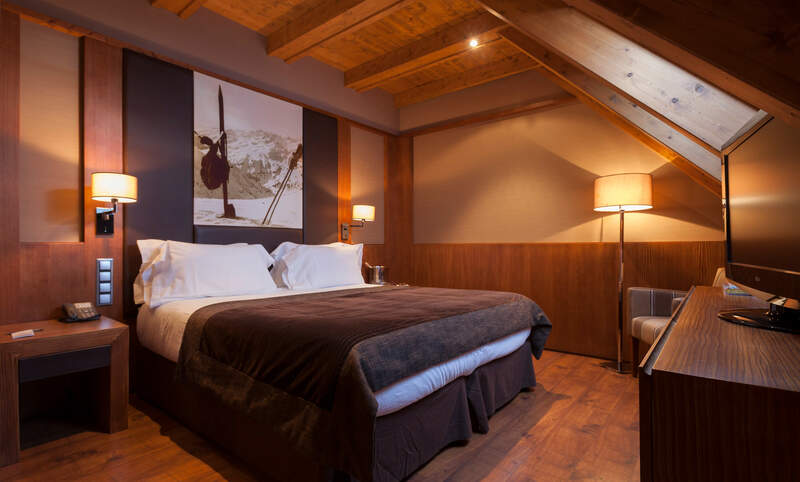 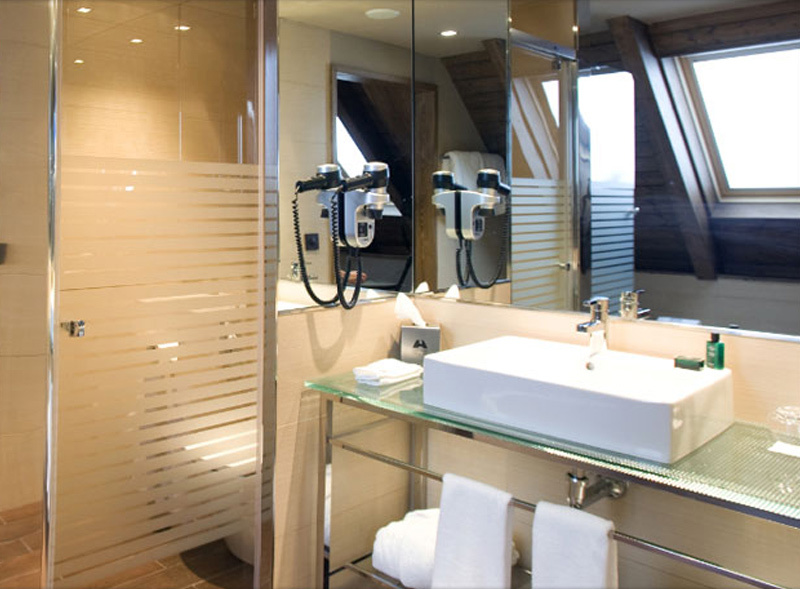 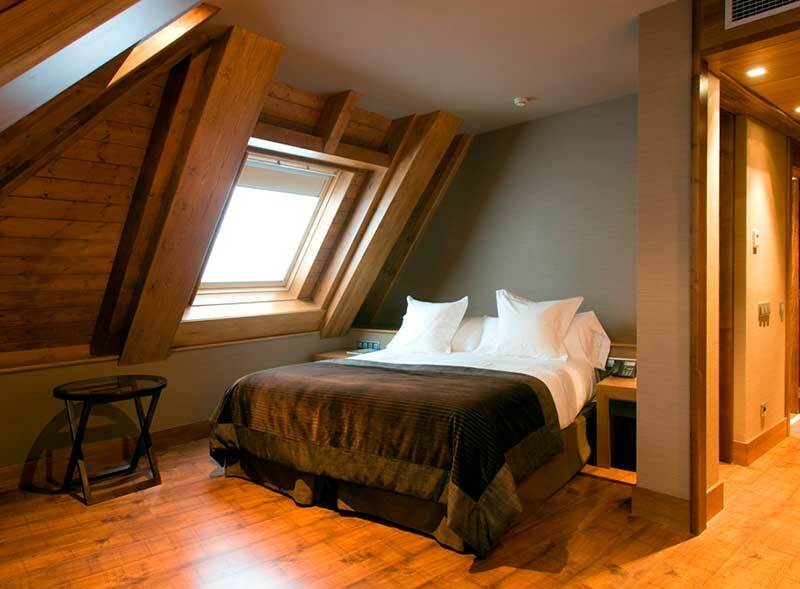 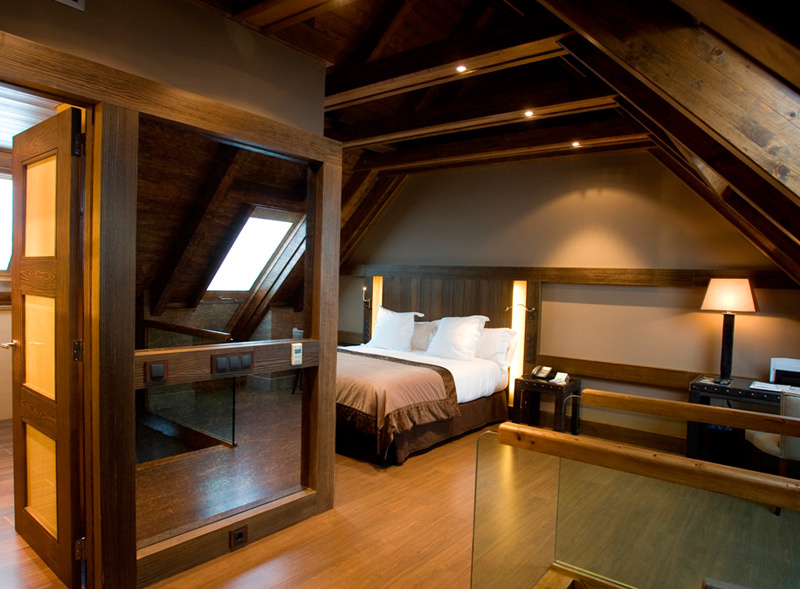 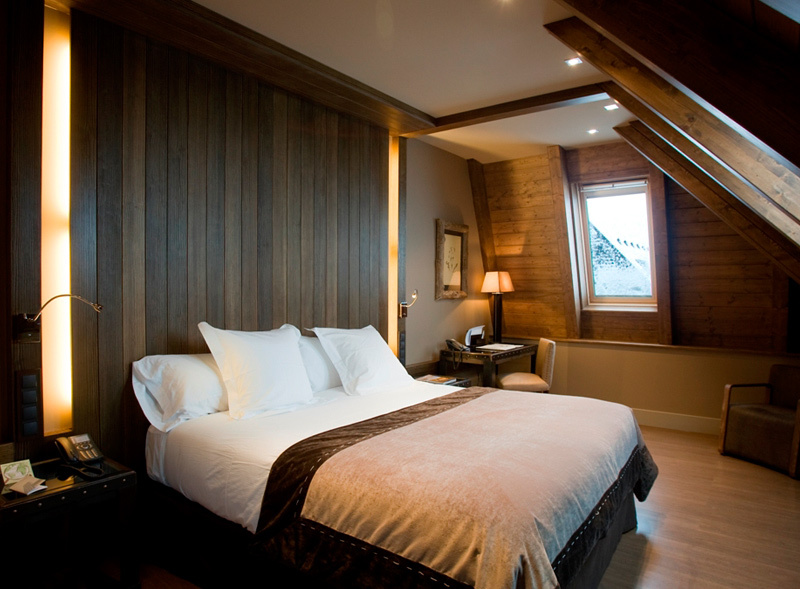 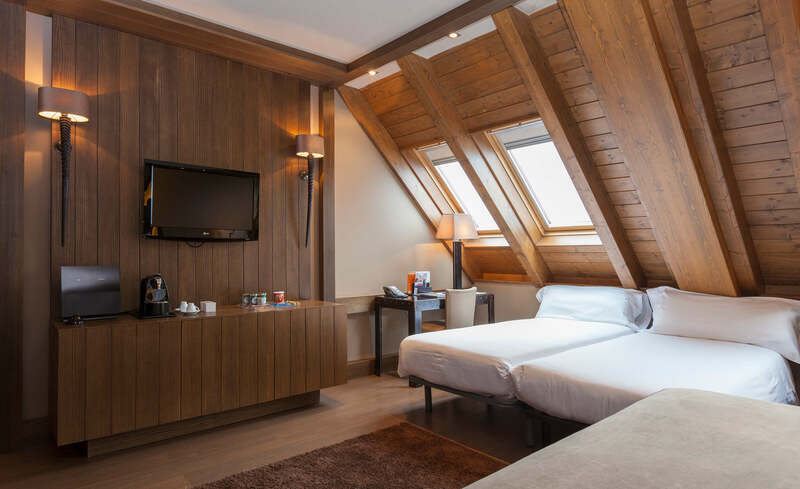 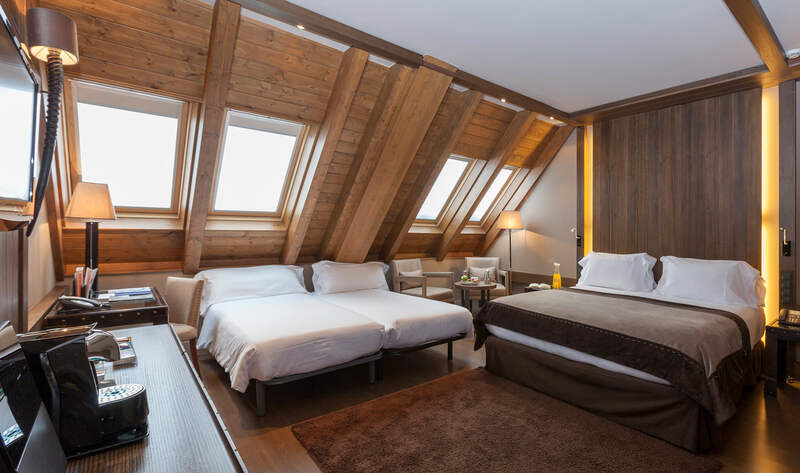 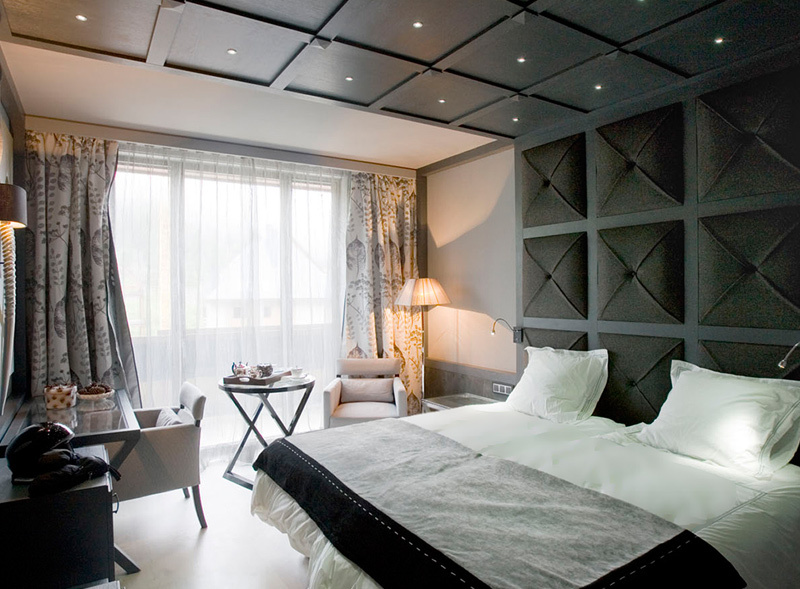 Neu Superior is a large and elegant room with exquisite and modern decoration, parquet floor and wooden furniture. 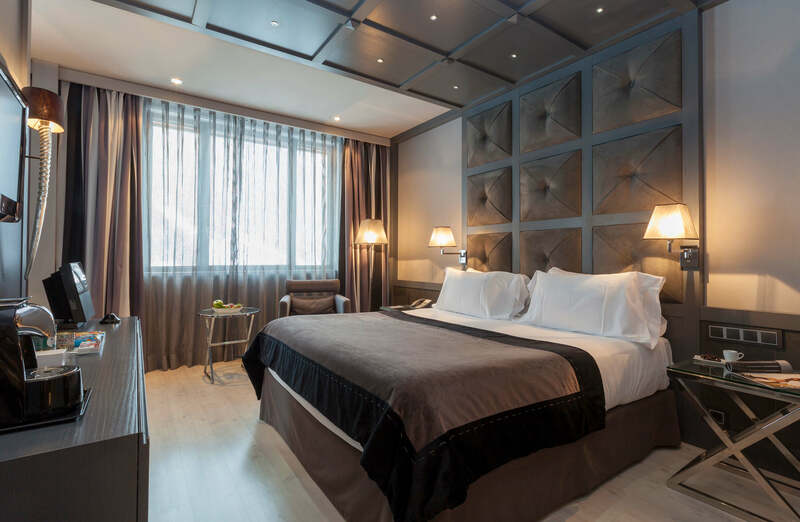 It is usually equipped with a double bed and extra bed (if triple), as well as a pillow menu so you can enjoy the best relaxing experience. 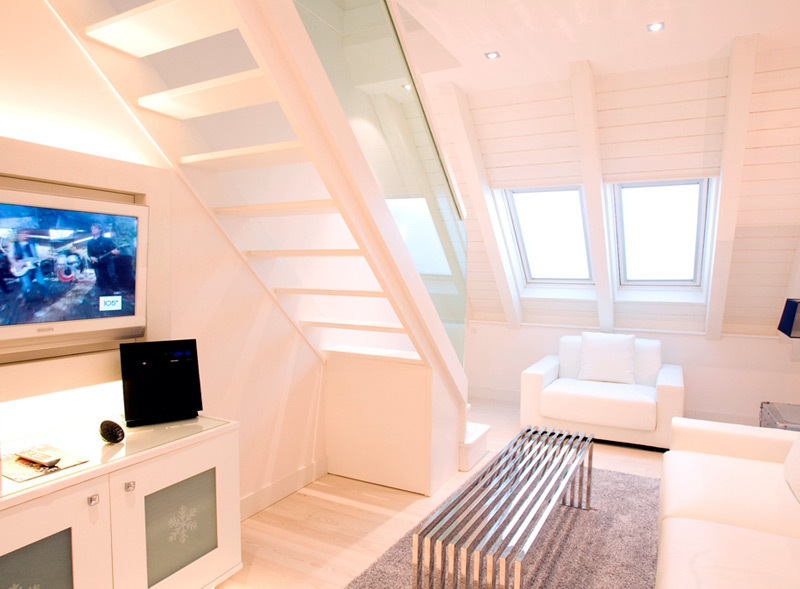 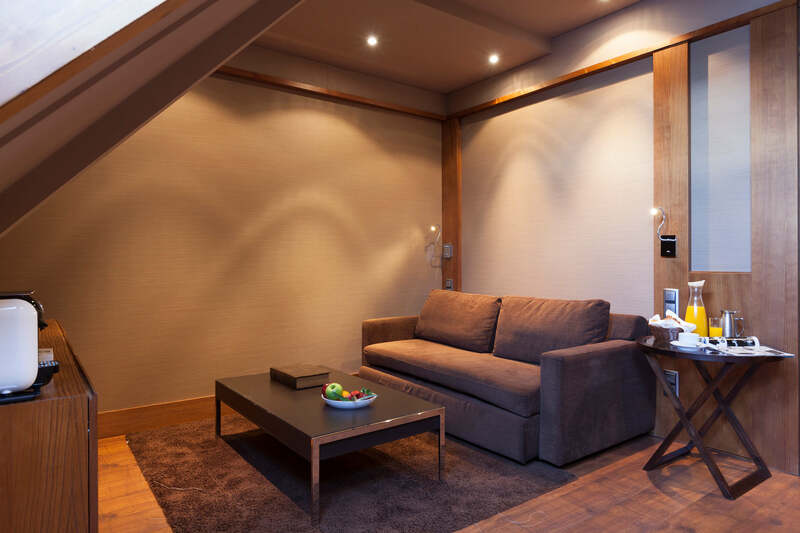 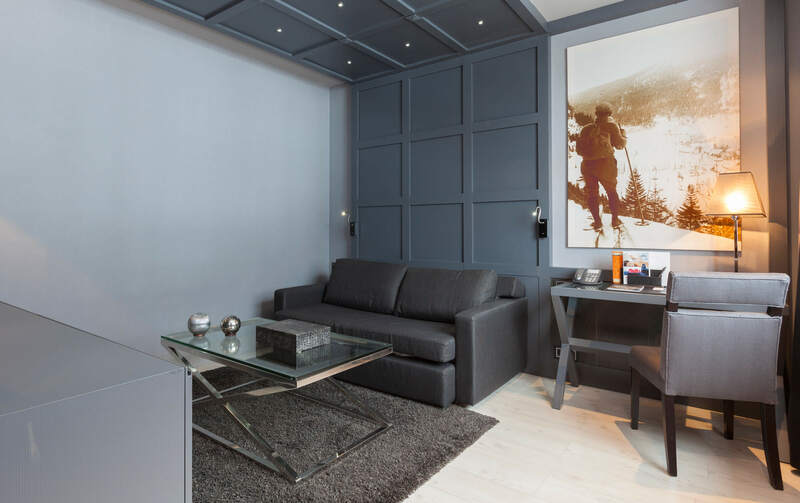 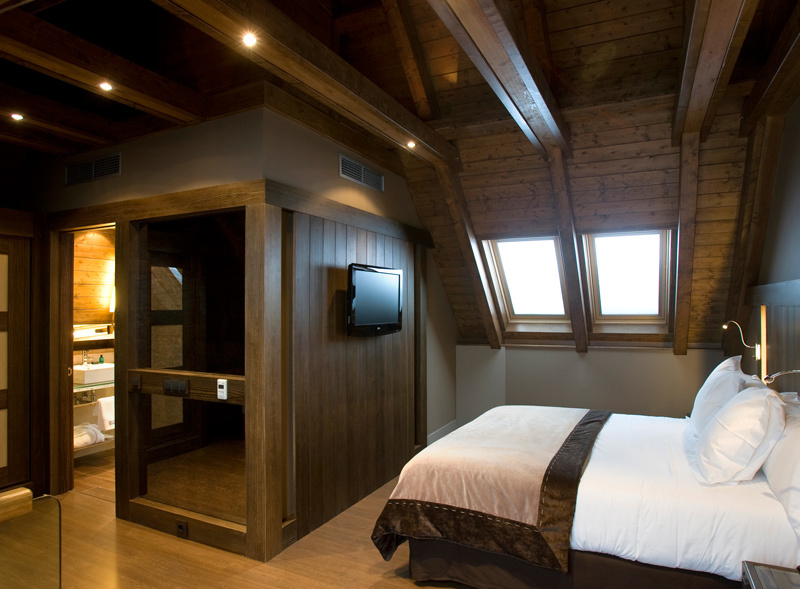 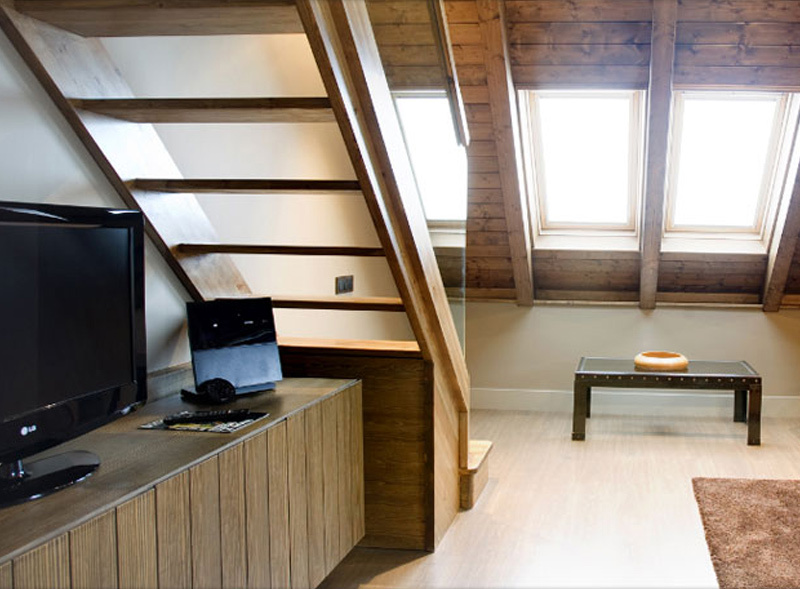 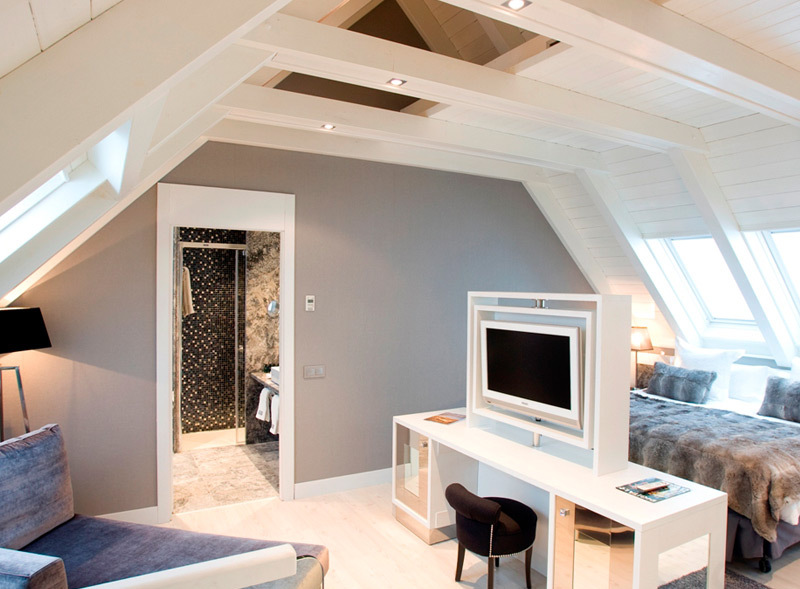 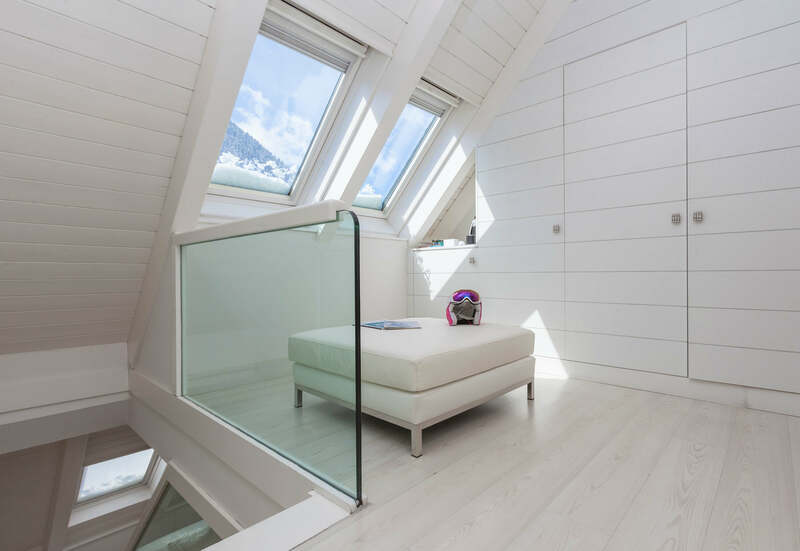 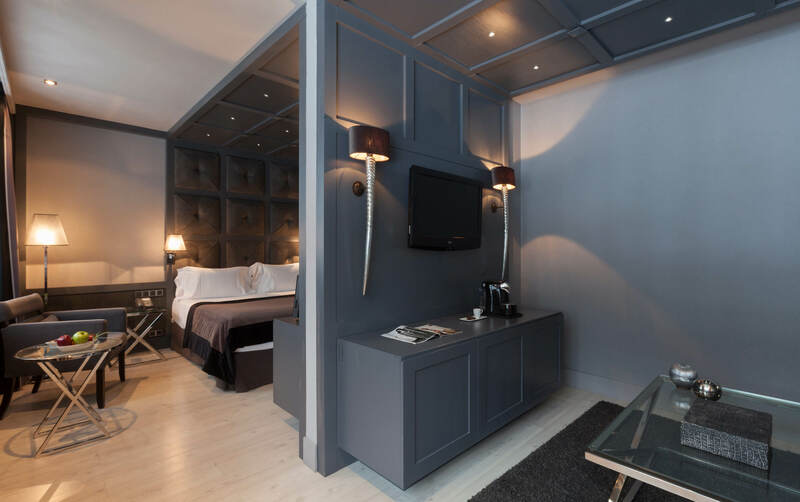 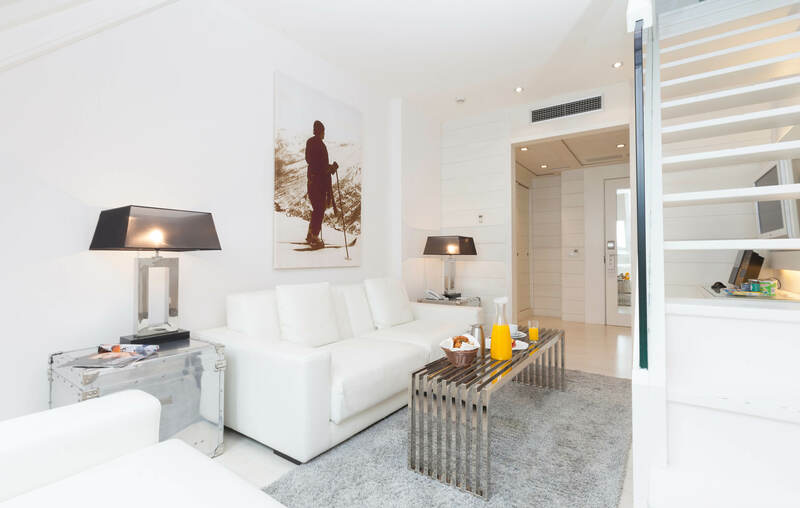 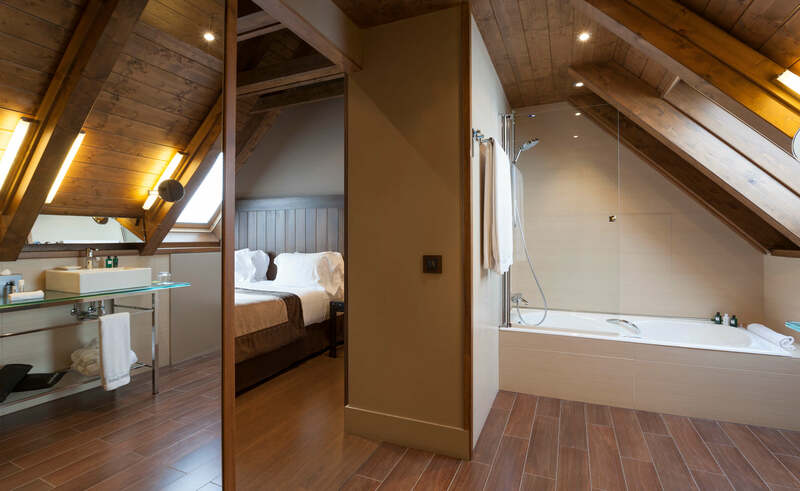 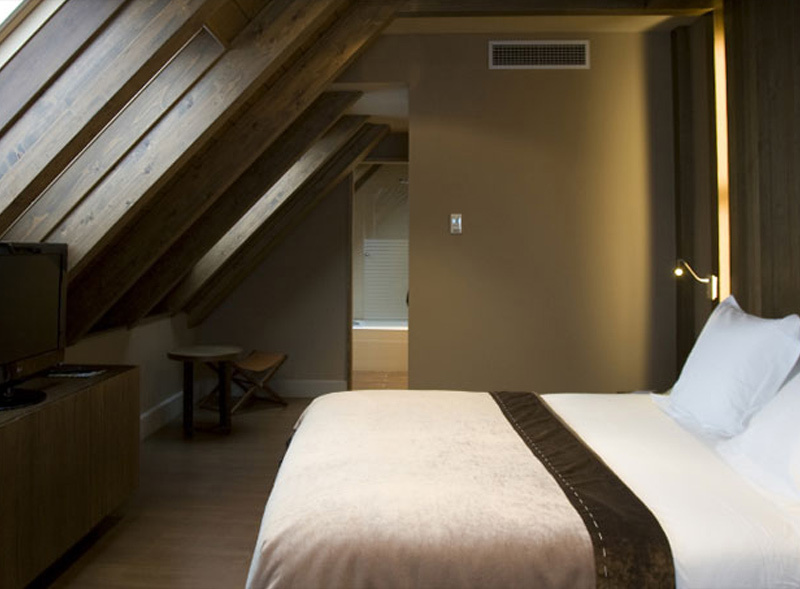 The Neu Junior Suite offers 2 possible layouts, a single floor or duplex. 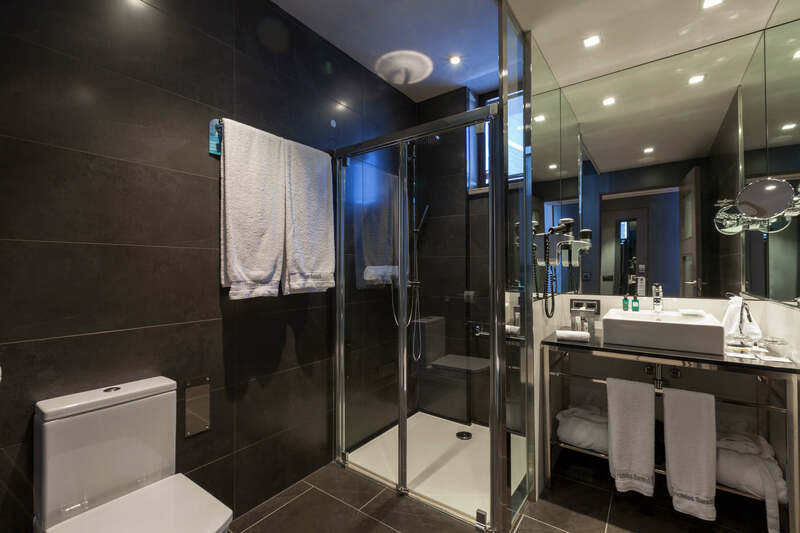 Both options are distributed in 2 spaces. 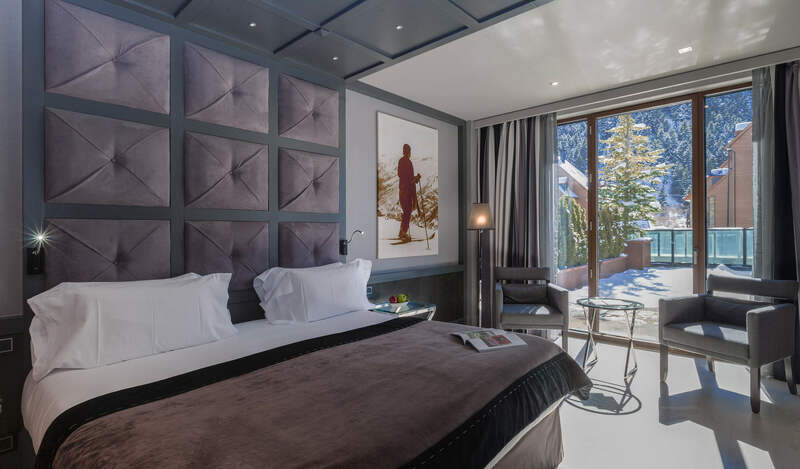 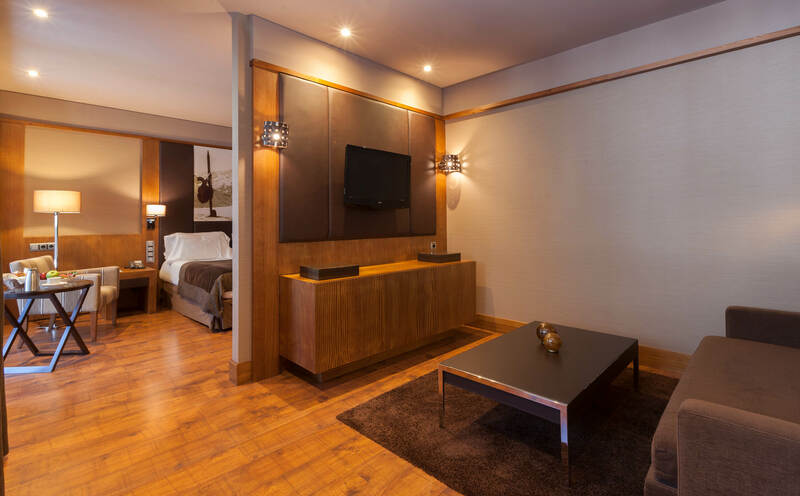 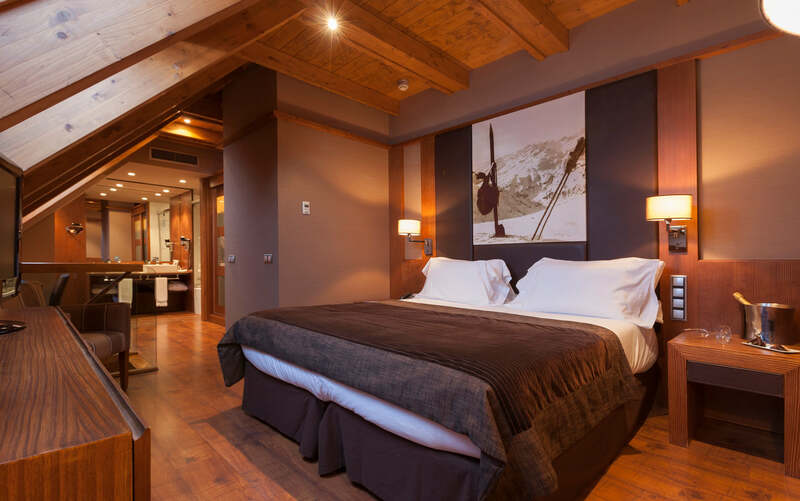 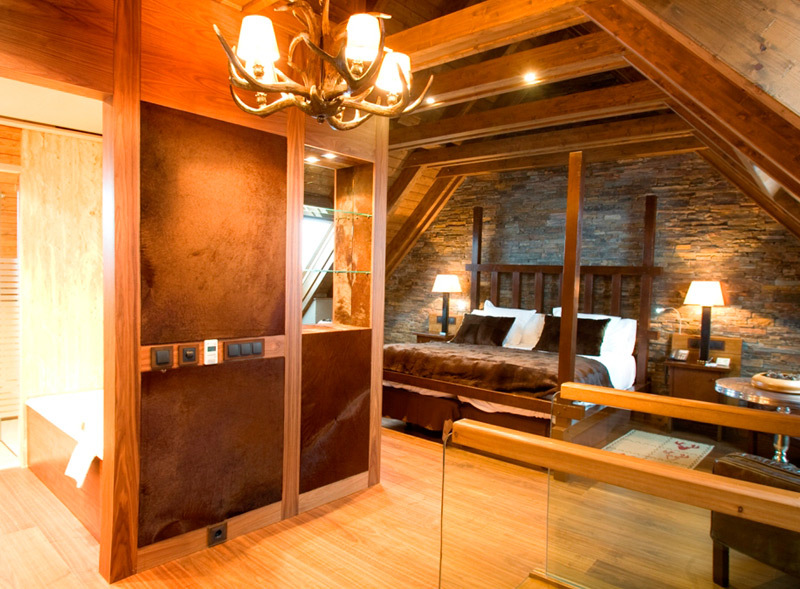 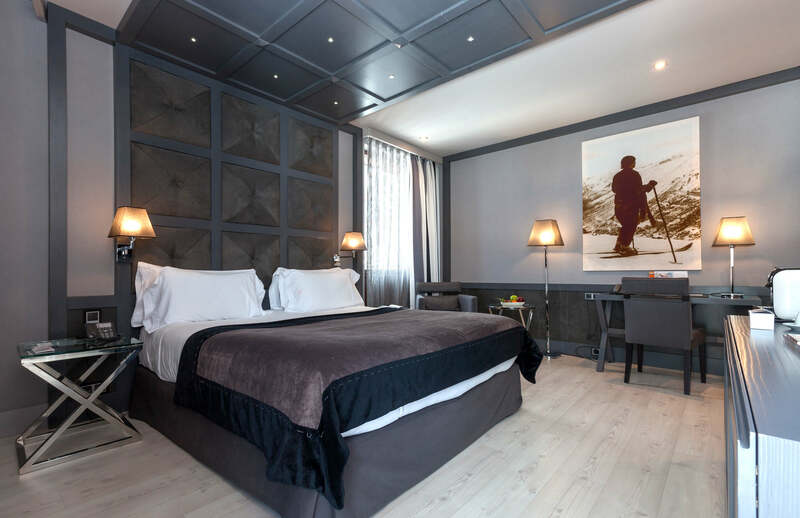 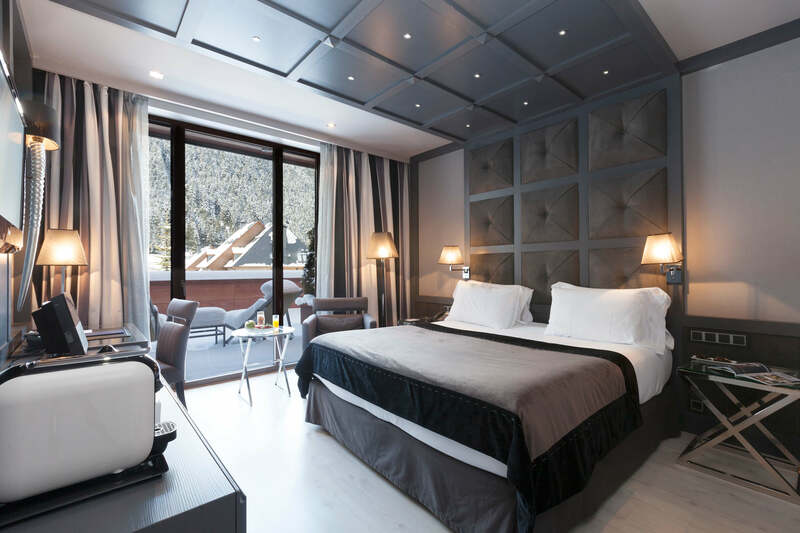 With desk and LCD TV with satellite channels, the Neu Junior Suite combines luxury and comfort with spectacular mountain views. 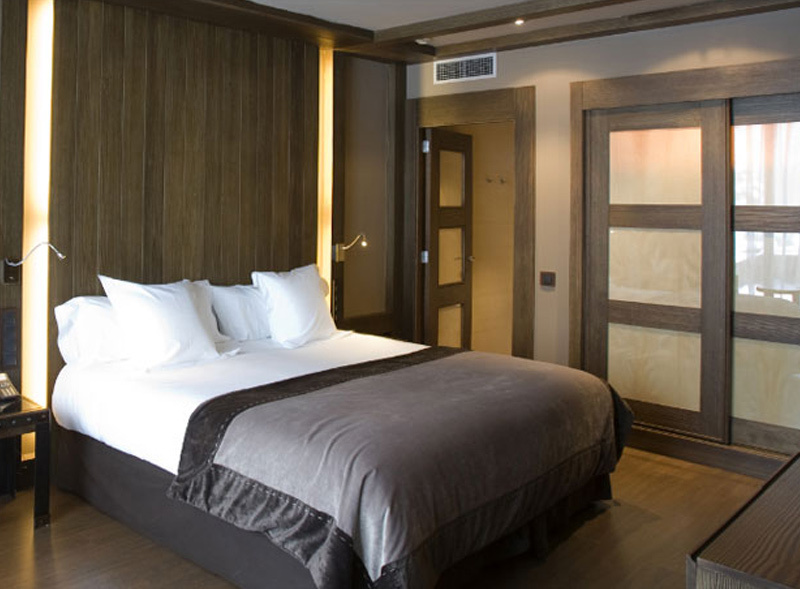 It is equipped with comfortable beds and a pillow menu. 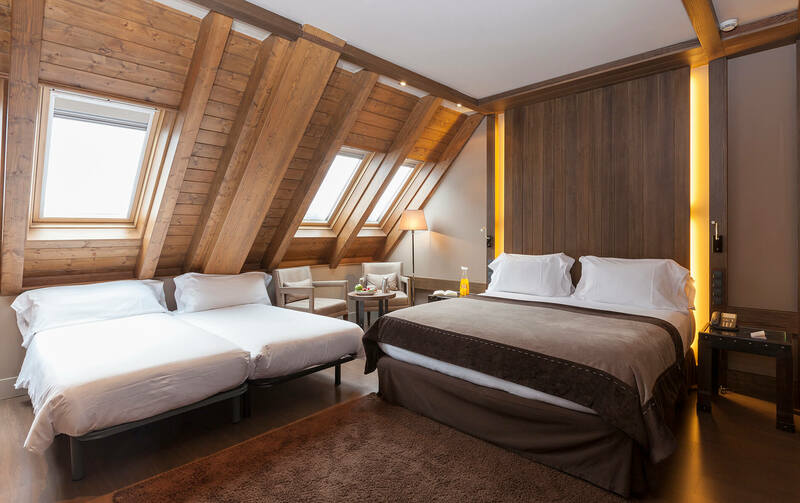 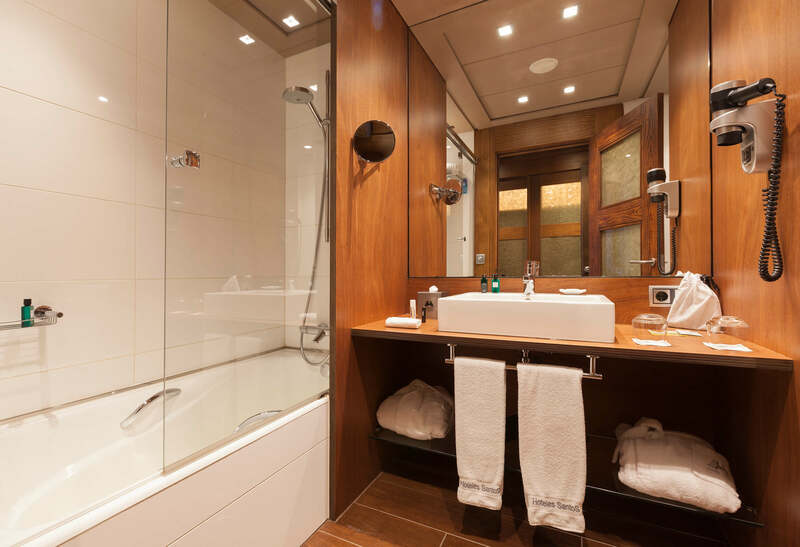 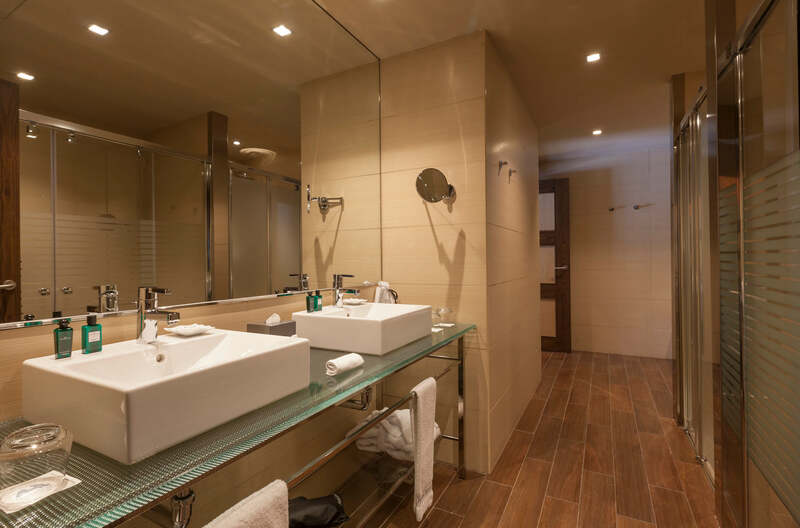 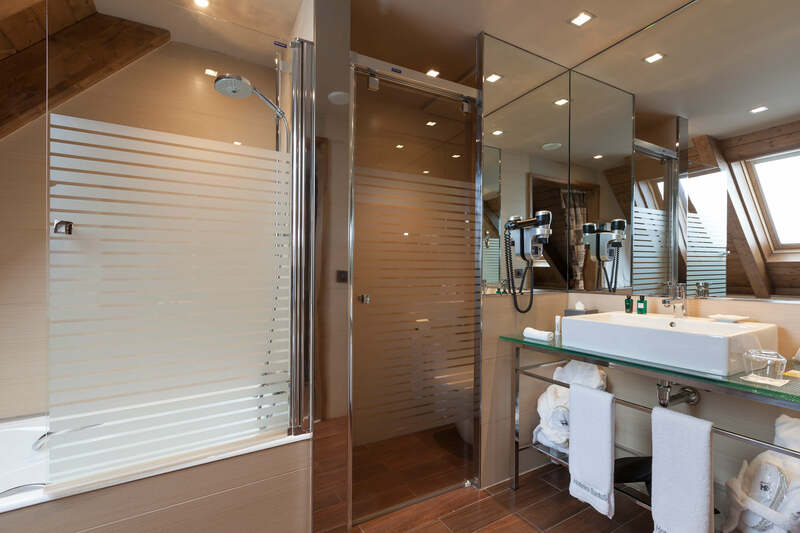 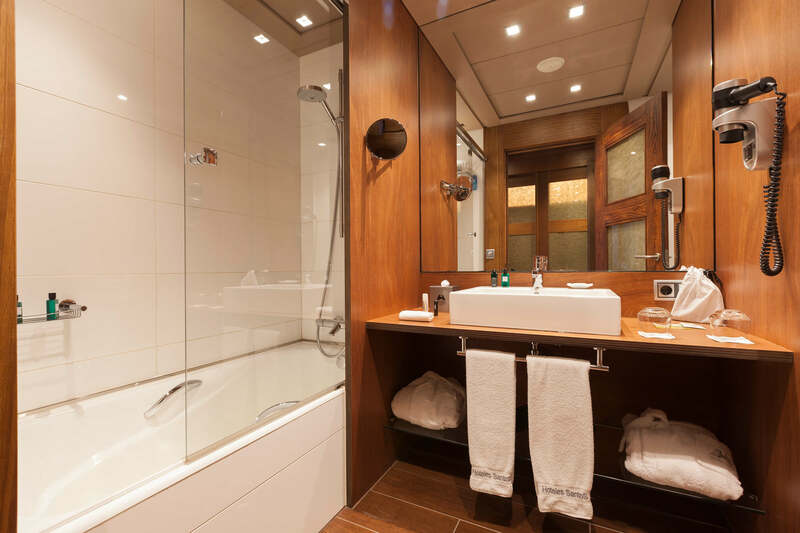 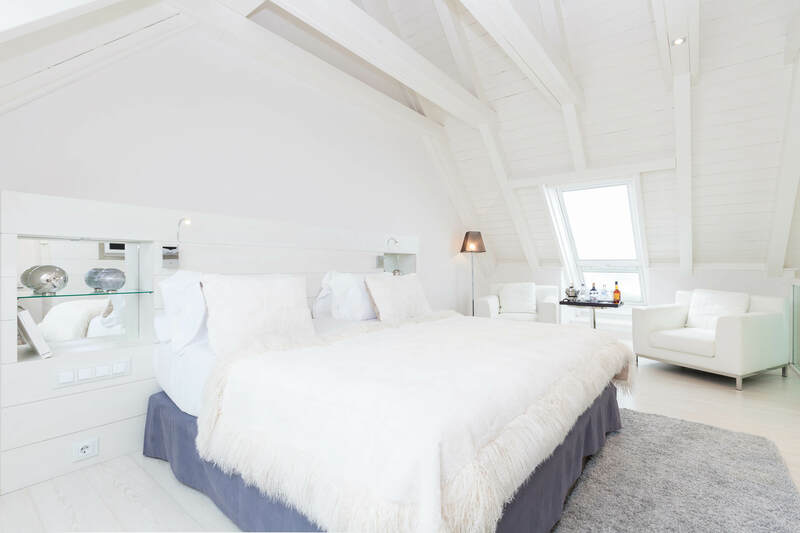 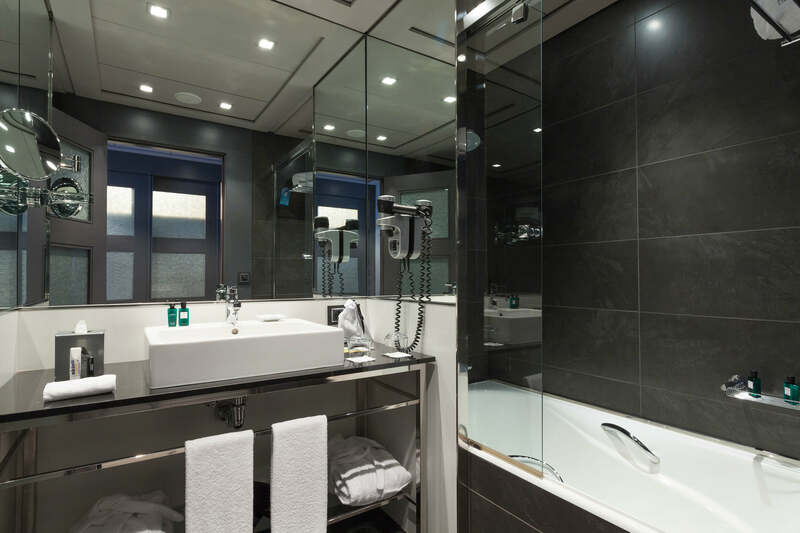 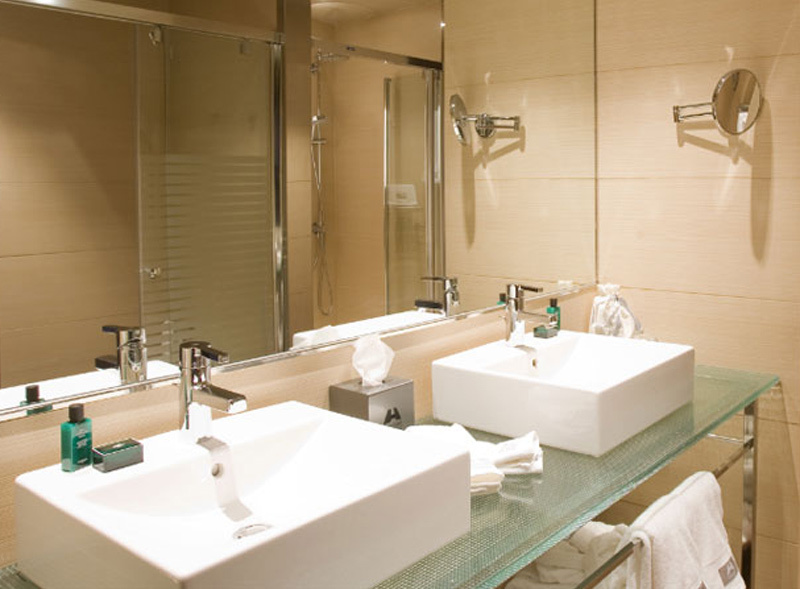 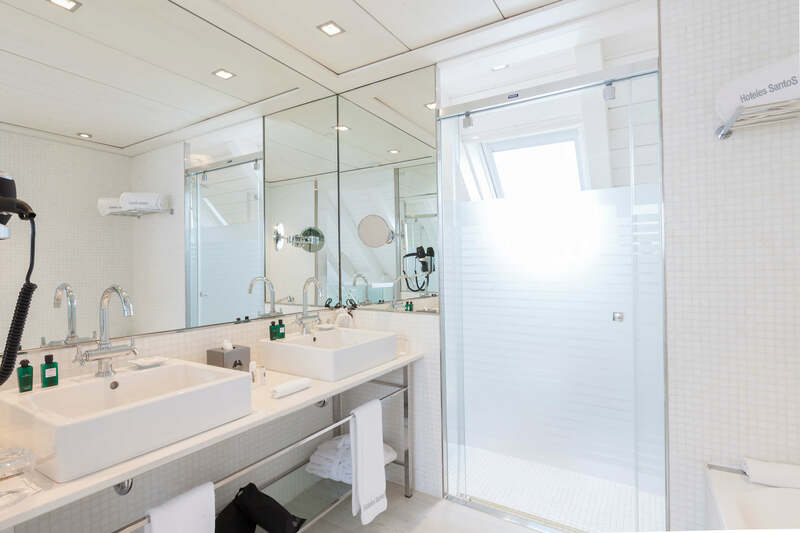 Neu Suite offers 2 possible layouts: Duplex, with two floors with a bathroom each; or Family, on a single floor with a large bathroom equipped with bath and shower. 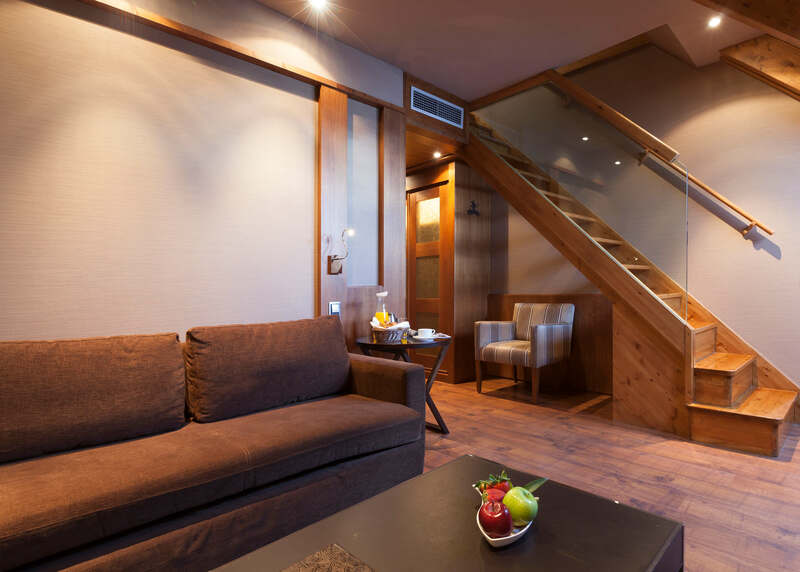 Both layouts include living room and unique views of the mountains. 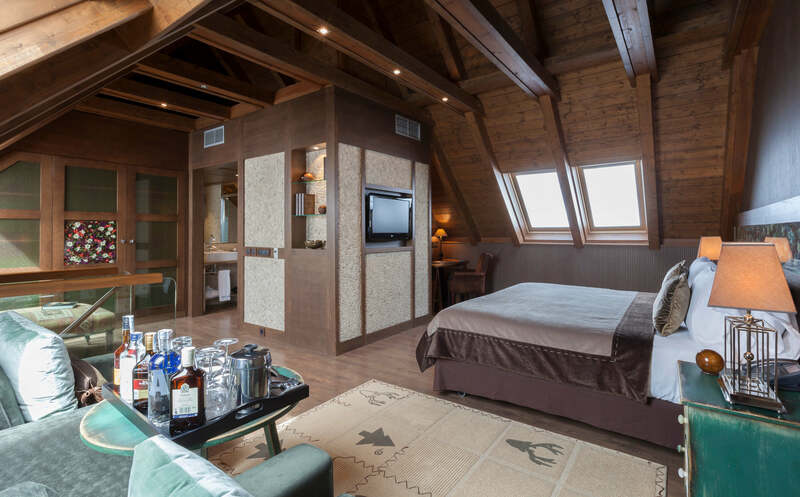 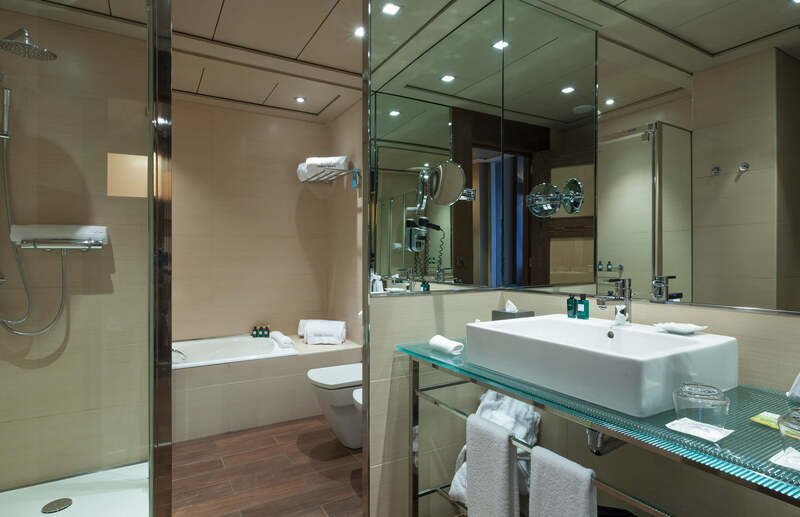 Enjoy pure luxury in our 4 Neu Royal Suites. 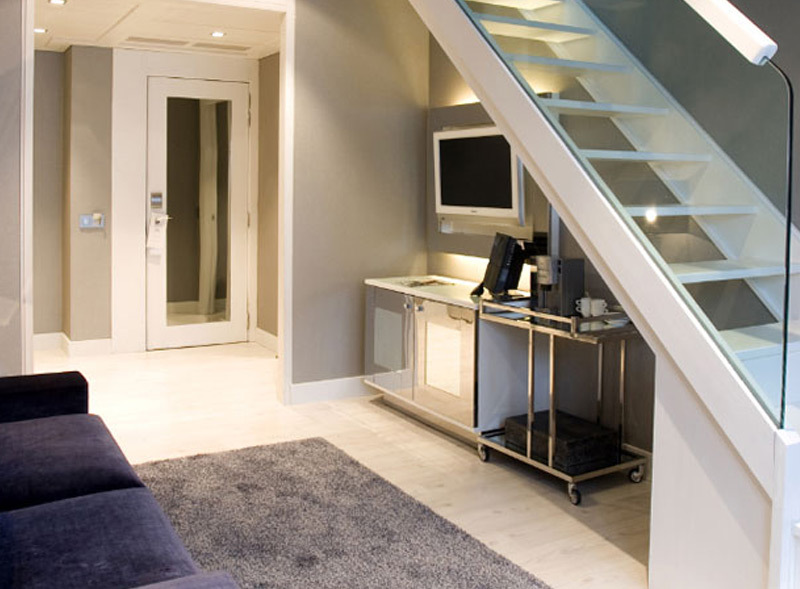 Distributed through 2 floors, each with a living room. 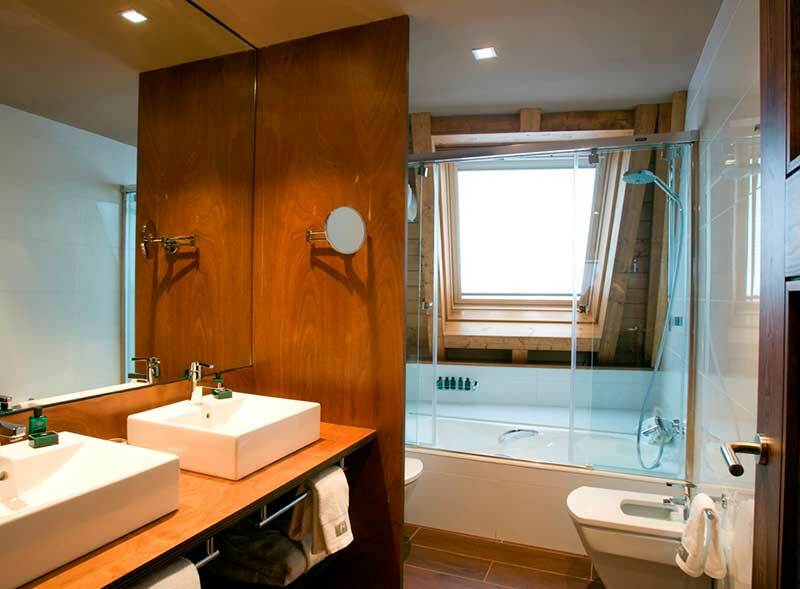 On the ground floor, there is a living room, bathroom and a bedroom; on the top floor, a large bedroom with bathroom. 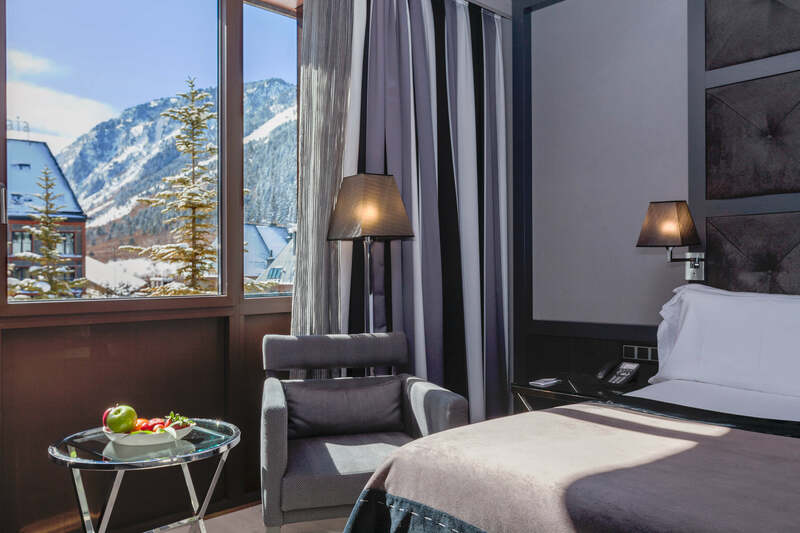 They are all equipped and decorated with material of the highest quality, such as the prestigious Swarovski diamonds, and offer spectacular views of the mountains. 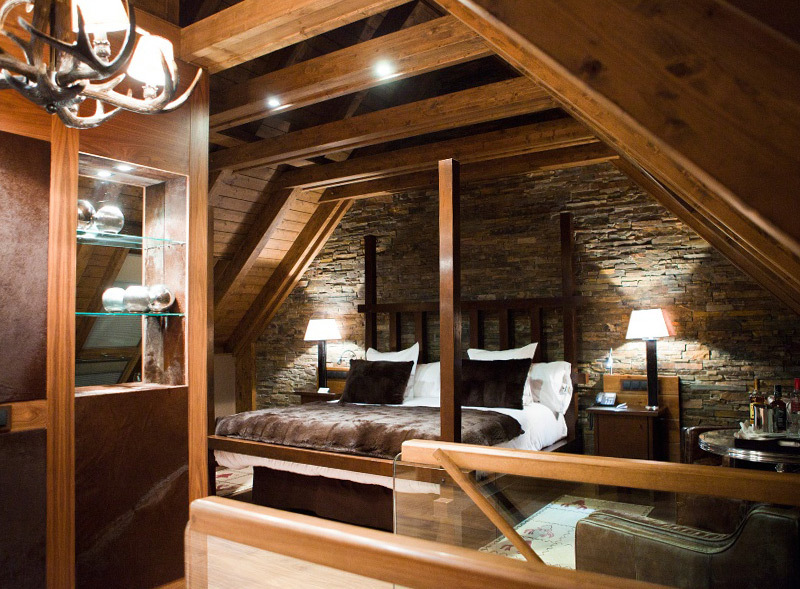 Choose your Neu Royal style: avant-garde, with noble materials of wood, glass, river stones and pearl marble; or rustic, decorated with slate, chamois leather and petals of flowers from Val d’Aran. 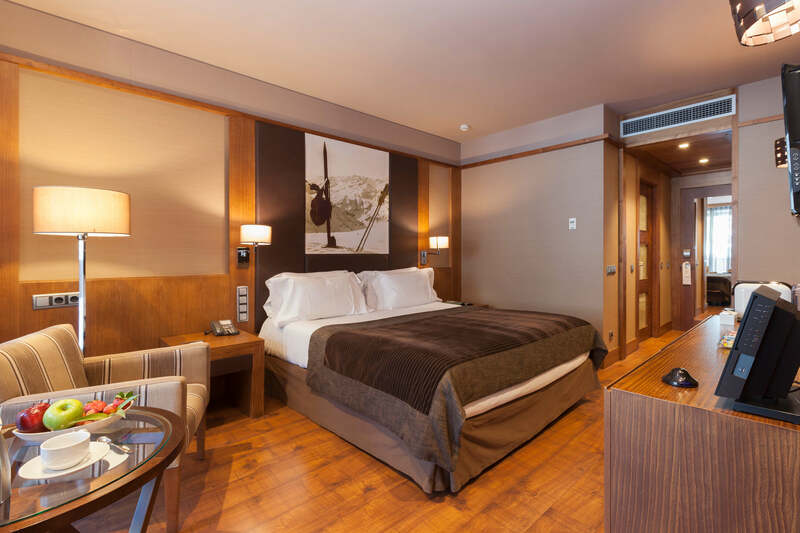 Includes: complimentary selection of premium drinks, car wash (on request), luggage handling and storing (subject to availability), welcome gift (bottle of cava or water and gastronomic sample) and free snack (hot chocolate and churros). 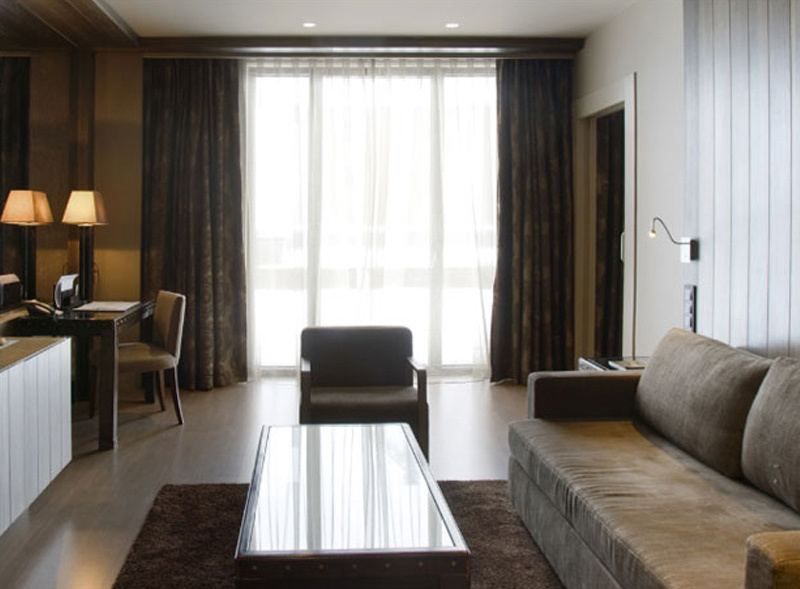 The Neu Superior Family Room is the ideal option for families who wish to stay together in the same room. 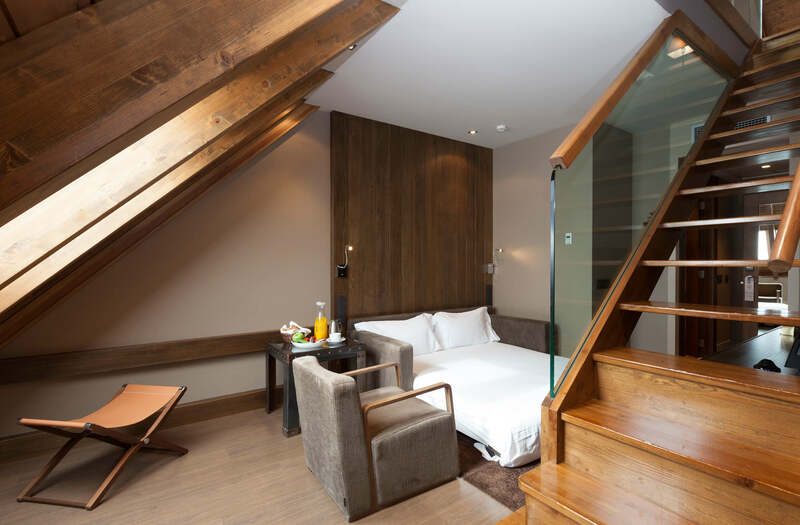 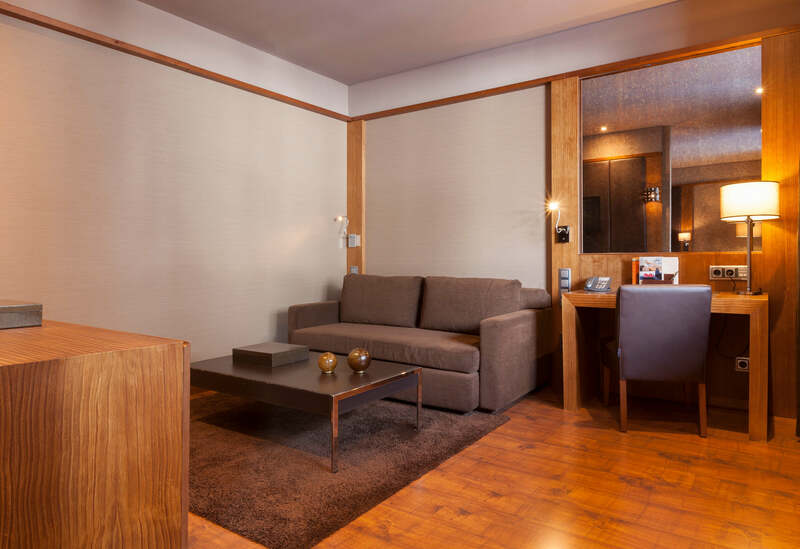 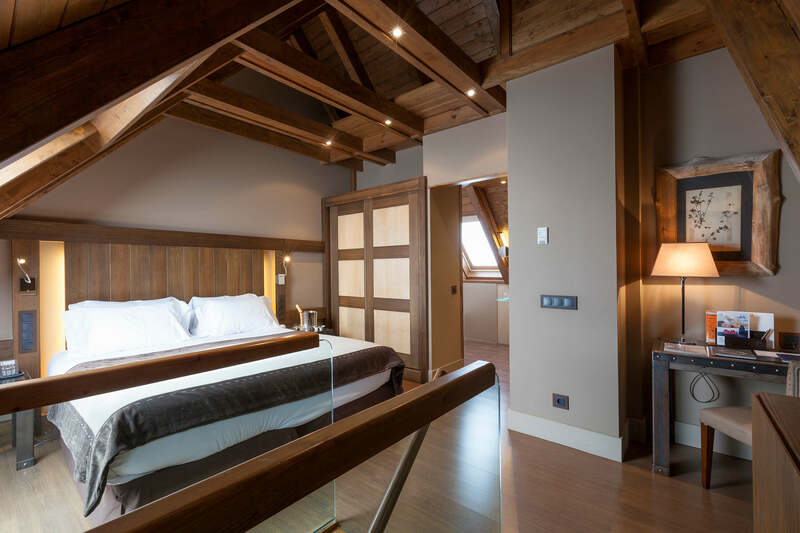 This spacious and elegant room with an elegant wooden decor is usually equipped with a double bed and a double sofa bed as well as with a pillow menu so you can enjoy the best relaxing experience.